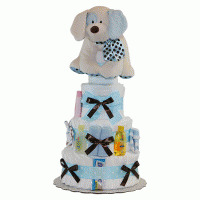 One engaging design... three unique baby gift baskets to choose from! 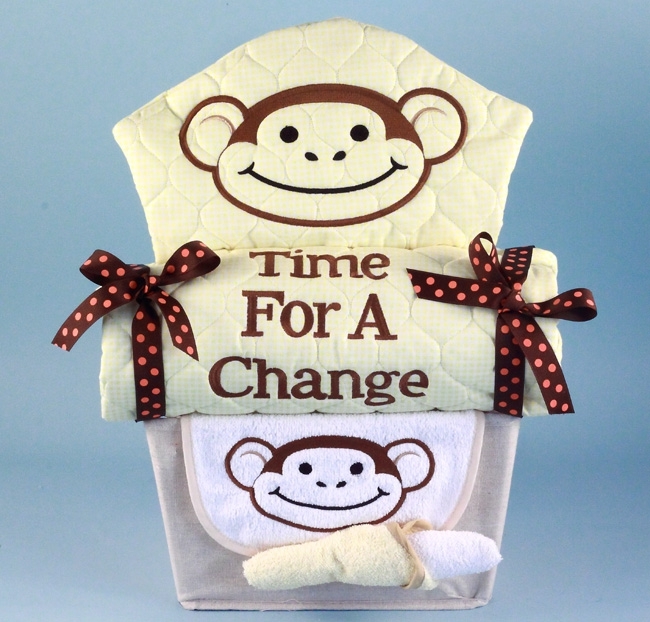 My Little Monkey Baby Gift Baskets™ are so cute and playful they're guaranteed to make the new parents smile. 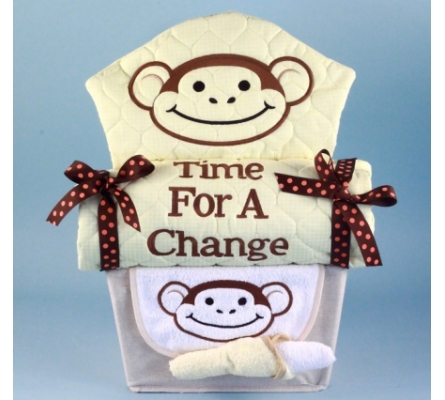 They are available in three colors (yellow, pink & blue), all of which feature our smiling monkey face design, a practical quilted changing pad appropriately embroidered with Time for a Change™ (see photo below), disposal diapers, other layette essentials, and a fabric lined storage container that's great for keeping baby's things organized. 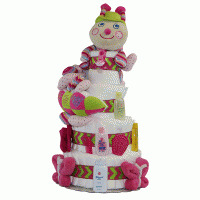 With the exception of the container and plush monkey (not included in all versions), all items are proudly made with quality in the USA. 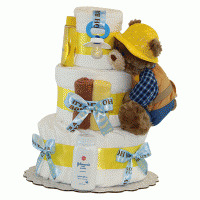 My Little Monkey Baby Gift Baskets™ are trimmed with a stylish brown dotted ribbon and wrapped in tulle for a final elegant touch.